Distributed Control System (DCS) | Yokogawa United Kingdom Ltd.
A distributed control system (DCS) is a platform for automated control and operation of a plant or industrial process. A DCS combines the following into a single automated system: human machine interface (HMI), logic solvers, historian, common database, alarm management, and a common engineering suite. Over 10,000 plants entrust Yokogawa's DCS to deliver their production goals. Agile Project Execution provides new engineering possibilities and changes the way projects can be planned and executed, reducing risk and adding flexibility to the schedule. Yokogawa is joining hands with leading high technology companies worldwide to supply highly reliable and sophisticated distributed control systems. 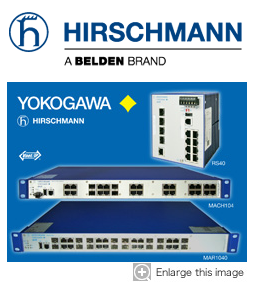 Belden Inc. supplies Hirschmann brand of industrial network switches to use with Yokogawa Vnet/IP® high-speed control network. Our partnership ensures the long and stable supply of highly reliable network switches as well as the maintenance support. Pepperl+Fuchs GmbH has developed a range of intrinsically safe and non-intrinsically safe termination boards and IO modules that work with CENTUM and ProSafe-RS systems. Technical information is available by following the links below. For more detailed information please visit the below sites. MTL Instruments Group Limited, part of Eaton's Crouse-Hinds Series portfolio, has developed a range of intrinsically safe and non-intrinsically safe termination boards and IO modules that work with CENTUM and ProSafe-RS systems. Technical information is available by following the links below. Intel® Security, former McAfee, is the world's largest dedicated security technology company. Delivering proactive and proven solutions and services that help secure systems and networks around the world, Intel® Security protects consumers and businesses of all sizes from the latest malware and emerging online threats. The combination of Intel® Security's expertise with Yokogawa's domain knowledge provides a more holistic approach resulting in the provision of more value-added industrial automation solutions. * Intel and the Intel logo are trademarks of Intel Corporation in the U.S. and/or other countries. * The McAfee logo is a trademark or registered trademark of McAfee, Inc. in the United States and other countries. Contact Yokogawa for more details of the products and their specifications. CENTUM system hardware conforms to the standards listed below. Please use the CENTUM system in the industrial environment only. Note: The standard specifications are different for each hardware apparatus and for each software package. For more information, please see the document "General Specification (GS)." Yokogawa is the member of the following ISA standards committees taking active roles for standardization. This standard provides requirements and recommendations for the activities of the alarm management lifecycle. Lifecycle stages include philosophy, identification, rationalization, detail design, implementation, operation, maintenance, monitoring & assessment, management of change, and audit. There are currently six Technical Reports (TR) for ISA18.2 that have been published. 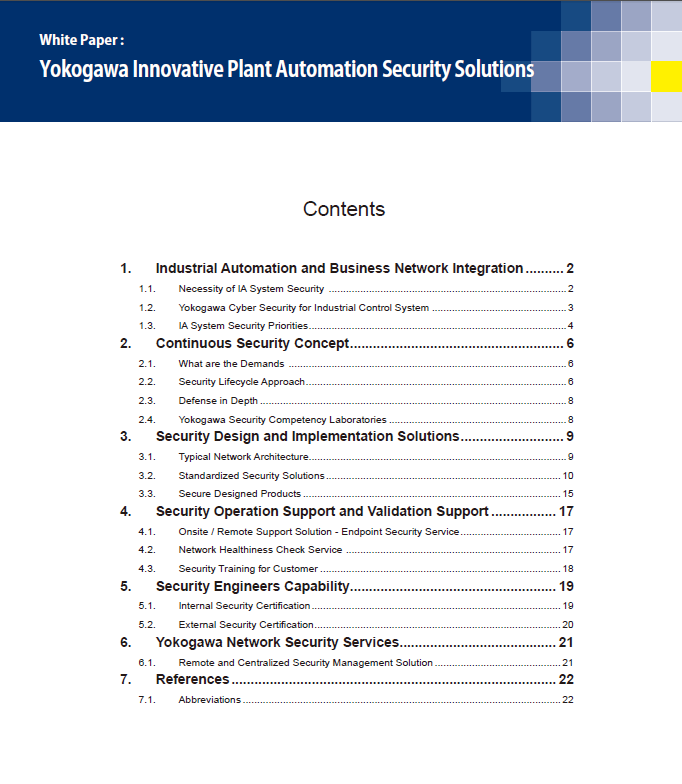 Yokogawa supported the Working Groups (WG) that authored technical reports and is actively involved in WG7- Alarm Management for Plants Incorporating Packaged Systems. 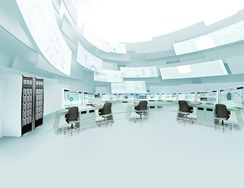 Yokogawa products support the standard, such as Consolidated Alarm Management Software (CAMS) as part of our CENTUM VP platform, Alarm Reporting and Analysis (ARA) , Alarm Master Database (AMD), and Advanced Alarm Administrator (AAA Suite). Yokogawa continues to be dedicated to the standardization of batch process control, promoting a unified method and architecture for designing batch process control schemes. A standardized approach to batch process control benefits batch processing companies by lowering their costs to build and operate batch processes and reducing the lead-time required to introduce new products. Yokogawa continues to be active in standards and educational organizations related to the development of batch control standards. We have developed products that comply with the ISA-88 (IEC 61512) standards and utilize the standard approach in our batch control implementation projects. Yokogawa supports the continuing standardization work in the batch process industries. Part 1 of the standard was updated in 2010 based upon feedback from the batch control community that had been using ISA-88 since the mid-1990’s. For information on how to obtain the updated ISA88 standard or learn more about the ISA88 committee go to ISA. For more information go to isa. BatchML, the Batch Markup Language, is an XML implementation of ISA88 family of stanards. BatchML consists of a set of XML schemas written using the World Wide Web Consortium's XML Schema language (XSD) that implement the models and terminology in the ISA-88 standards. The ISA-95 standard provides a framework for exchanging manufacturing data between enterprise and manufacturing systems as well as between different Manufacturing Operations Management (MOM) systems. The standard has been widely adopted by manufacturing companies in the continuous, batch and discrete industries and by system suppliers at the MOM and enterprise levels. Yokogawa is an active participant in the committee and supports the standard in our products and solutions. Parts 1 and 2 define a framework for exchanging data between Enterprise (Level 4) and Manufacturing Operations Management (Level 3) systems. Parts 1 and 2 were originally published in 2000 and 2001 respectively. In 2010 updated versions of both Parts were released. The updates incorporate feedback from users of the standard and knowledge gained writing Parts 3, 4 and 5. Part 3 defines Manufacturing Operations Management activities and is widely used by manufacturing companies to describe their MOM requirements and functions. Part 4 defines models for data exchange between functions within Level 3 (MOM). 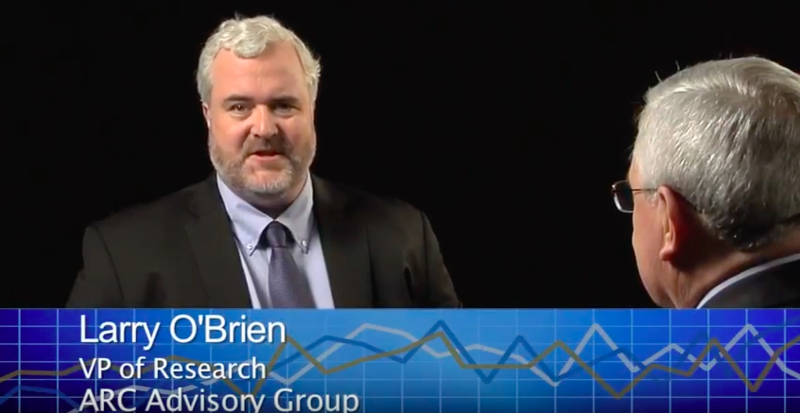 Part 5 defines how data from Parts 1 and 2 can be exchanges as software transactions. This aids in automating the exchange of data. The international version of ISA-95 is IEC/ISO 62264. This international standard is being developed jointly by IEC and ISO in Joint Working Group 5 (JWG5). IEC participation in Joint Working Group 5 is under Subcommittee 65 (SC 65) of Technical Committee 65 (TC 65). The ISO participation is done by Joint Working Group 5 under Subcommittee 5 of Technical Committee 184. The IEC/ISO work follows the U.S. ISA-95 publications. When the ISA-95 version is completed it is submitted to JWG 5 for consideration as international standard. Participation on JWG 5 is coordinated through each member country’s national standard organization. B2MML, the Business To Manufacturing Markup Language, is an XML implementation of ISA-95. B2MML consists of a set of XML schemas written using the World Wide Web Consortium's XML Schema language (XSD) that implement the data models in the ISA-95 standard. Yokogawa was instrumental in the creation of B2MML and currently works with MESA International to ensure B2MML stays current with ISA-95 updates and remains freely available for the industry to use. For more information on B2MML or to download a copy go to B2MML (Business To Manufacturing Markup Language). Product development and technical requirements of control systems. The standards and associated technical reports are in the process of being converted to the IEC format and it is expected that most will be available by the end of 2013. The current status of the standards can be found on the ISA site. Yokogawa actively supports both ISA-99 and the associated IEC standards and contribute to the creation and maintenance of these standards. The development of new products within Yokogawa follows these standards to ensure we produce secure, reliable systems. The ISA101 standards committee was formed in 2006 to establish standards, recommended practices, and/or technical reports pertaining to designing, implementing, using, and/or managing human-machine interfaces in manufacturing applications. The committee is co-chaired by Dr. Maurice Wilkins of Yokogawa Corporation of America and Greg Lehmann of URS Corporation. The areas covered within ISA101's work includes every facet of HMI design and operation, such as: menu hierarchies, screen navigation conventions, graphics and color conventions, dynamic elements, alarming conventions, security methods and electronic signature attributes, interfaces with background programming and historical databases, popup conventions, help screens and methods used to work with alarms, program object interfaces, and configuration interfaces to databases, servers, and networks. The standard takes a lifecycle approach categorized into four stages: system standards, design, implementation, and operation. Draft 3 was sent out for a review by the full committee at the end of April 2012, and Draft 4 at the end of June 2013. After discussions at ISA Automation Week in November 2013, a small working group was set up to get the standard into a format and content to be put forward for ballot in 2014. Technical reports such as HMI philosophy, HMI style guide, HMI design guide, HMI usability and performance, and HMI purchase specifications have been identified for future development as soon as the standard has been accepted. A new working group is soon to be set up for HMI for mobile platforms. As of December 2013, the committee member numbers around 230. ISA 103 defines the interfaces for both the vertical and the horizontal data flow, called Function Control and Data Access, in the framework of a Client-Server architecture so it will allow application software and configuration tools to interact with field devices in a unified way, while hiding the manufacturer-specific interaction with devices or sub-systems in a software module. ISA 103 supports any field bus, device or sub-system specific software tool that can be integrated as part of a universal life-cycle management tool of a plant automation system. Yokogawa is very active supporter of ISA 103 activity. Yokogawa products like Plant Resource Manager (PRM) and FieldMate supports ISA 103 based frame application and field instrument products based on HART®, FOUNDATION™ fieldbus , PROFIBUS® and ISA100.11a has DTM's (Device Type Manager) based on ISA 103. ISA 104 (IEC61804); Electronic Device Description Language (EDDL) is an integral technology for field digital protocols enabling configuration/setup, diagnostics, and monitoring of devices from different manufacturers. EDD is a text-based language for describing the digital communication characteristics of sophisticated field instrumentation and equipment parameters: device status, diagnostic data, and configuration details. White paper on guideline/recommendation on management of EDD's for different device revisions. Yokogawa is actively supporting ISA-104 and the associated IEC standard IEC 61804 and contribute to the creation and maintenance of these standards. Yokogawa field instrument products supporting field digital protocol like HART®, FOUNDATION™ fieldbus, PROFIBUS® and ISA100.11a supports EDD based on ISA-104 standard. The ISA106 committee is working to produce a standard addressing the automation of procedures in the continuous process industries. This committee was formed in 2010 and published its first work product, a Technical Report, in 2013 titled “ISA-TR106.00.01-2013 Procedure Automation for Continuous Process Operations - Models and Terminology.” The Technical Report is available at isa.org. The committee is currently working to produce a second technical report addressing the lifecycle of automated procedures and is working on the standard. The committee meets 3-4 times per year, participating is open to all interested parties. The ISA108 Committee was formed in August 2012 to define standards related to best practices and work processes for design, operation and use of diagnostic and other information provided by intelligent field devices in the process industries. Yokogawa is actively contributing and supporting the ISA-108 committee. Several members of Yokogawa Electric Corporation, the world headquarters, in Japan and Yokogawa Corporation of America are participating on the committee. Yokogawa provided an integrated and comprehensive solution for ethylene cracking process optimization. SMOC APC controller improved control level of ethylene cracking unit and reduced operators workload. Highlyadvanced biopharmaceutical plant uses CENTUM, VP Batch, Exaquantum and PRM. Total system integration for large-scale biotech production facility. Integrated CENTUM VP and ProSafe-RS Systems Ensure Nonstop Operation of ADU/DKU Processes. "This is a real VigilantPlant! We will continue to improve our production efficiency." Yokogawa contributes to the education of process industry talents by providing its own products. TAFE Queensland students learn process industry by controlling the color of toast with CENTUM VP DCS. Yokogawa China successfully replaced control system with CENTUM VP at 4th phase of caustic soda production plant in China. Thanks to their project execution capability, the replacement was completed within a shorter period than the planned shutdown time. 800 MW Supercritical Coal-fired Power Plant Achieves Smooth and Rapid Plant Commissioning Using a Full-replica Plant Simulator/Korea South East Power Co., Ltd.
World's first offshore regasification terminal relies on Yokogawa ICSS (CENTUM CS 3000, ProSafe-RS). LNG carrier scheduling, unloading, tank storage, and vaporizing are all procedure based operations. World's largest LNG terminal relies on CENTUM to maximize safety and reliability. It is very important for KOGAS to be able to adjust flexibly to shifts in demand in the gas that it supplies to power plants, industrial companies, and residences. ABS plant migrates from CENTUM XL to integrated CENTUM CS 3000 solution. CENTUM CS 3000 Integrated Production Control System together with CCTV equipment, a plant information management system (PIMS), the Exaplog Event Analysis Package, and the CS Batch 3000 package. Exapilot contributes to safety, reduces cost, and retains operational know-how. The CENTUM CS 3000 / UOI was selected for this project. The control platform in the UOI is the GE Fanuc CIMPLICITY Human Machine Interface (HMI) system, which fully integrates the controls for the turbine and BOP auxiliaries and uses the same screens/formats at both the turbine and BOP HMI displays. The CIMPLICITY HMI used in the UOI is a SCADA based design that fully supports the customer's requirement for remote operation capability. Exapilot smoothly starts up and shuts down the world's biggest experimental distillation unit. Data visualization is the key, giving operators a complete understanding of what is is going on in the process, in real time. The AR1 refinery recently replaced its legacy DCS with Yokogawa's CENTUM CS 3000. Achieving an Intelligent Oil Management System. CENTUM CS3000 seamlessly integrates with multivendor control systems through OPC interface. Challenging predictive maintenance to monitor many transmitter data through PRM. CACT Offshore platform reduces unplanned downtime by migrating from Legacy PLC System to reliable CENTUM CS 3000. It is possible for CACT engineers to modify the system configuration, download software updates, and hot-swap I/O cards while the process control system is online. The solution was a remote connection via Microsoft Terminal Services across the internet. It enables an Ausmelt technical expert in Melbourne to log on to the Yokogawa control system at Karabash in Russia. Integrated Control & Safety System (ICSS) makes possible centralised plant supervision and management of all control and safety functions on this FPSO. Controlling a Proprietary Orange Juice Production Process / Peace River Citrus Products in U.S.A.
Online hot cut over from the legacy Honeywell TDC3000 to the Yokogawa CENTUM CS 3000. The work was successfully completed 48 days ahead of schedule and without disruption to operations. 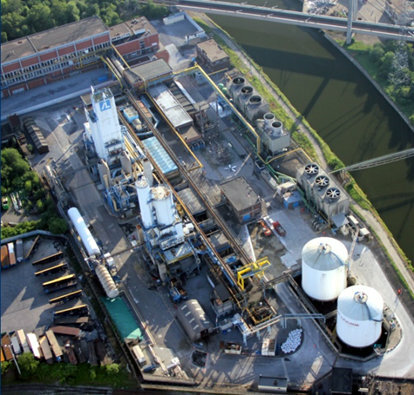 Complex starting up and shutting down operations of a biomass power plant were automated with CENTUM VP. Operator errors and interventions were eliminated in all critical processes. Exapilot improves operations and reduces energy use at PTT Khanom Gas Separation Plant #4. This is a real solution package and a good tool for the plan-do-check-act (PDCA) cycle to achieve operational excellence in the plant. Nederlandse Aardolie Maatschappij (NAM) is the Netherlands' largest natural gas producer. In addition to onshore fields, NAM operates manned platforms and four unmanned monotowers in 19 offshore locations. These connect to a pipeline network that comes ashore at Den Helder. Nishi Nippon Environment Energy Co., Inc. was founded in 1990 with the concept of a full, safe and comfortable urban life by harmonizing the global environment with energy-savings. Also, as a total energy industry corporation, which is promoting the efficient use of heat energy for the region, it is developing a broad business on the theme of civic improvement in the 21st century by preparing a stable city infrastructure. This is the first offshore platform in Thailand that is designed to make full use of FOUNDATION fieldbus technology. 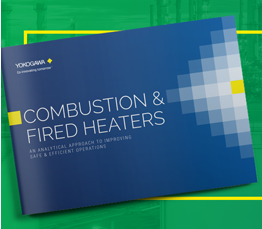 Thanks to Yokogawa's highly reliable systems and products, a safe working environment has been achieved. To decrease downtime and maintenance costs, the decision was made to introduce Yokogawa's CENTUM DCS. 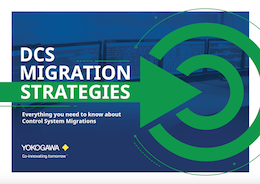 With well-experienced MAC approach, Yokogawa replaced successfully legacy DCS. Producing High Purity Hydrogen by CENTUM CS 1000 / Cosmo Engineering Co.
Reinstrumentation project at HDPE plant replaced legacy pneumatic instruments and PLCs with integrated CENTUM CS 3000 PCS and ProSafe-RS SIS. HART field devices can be monitored from the central control room with the plant resource manager (PRM) package, enabling a more predictive and proactive maintenance approach that reduces total cost of ownership. Remote Operation and Monitoring - Key to CENTUM CS 1000 Success Miyota Co., Ltd.
Based in Japan's Nagano Prefecture, Miyota Co., Ltd. is a developer and manufacturer of precision-processed electronic components whose principal business lines are wristwatches, quartz crystal oscillators, and electronic video components such as LCD backlights and microdisplays. Saudi Aramco's operations span the globe and the energy industry. The world leader in crude oil production, Saudi Aramco also owns and operates an extensive network of refining and distribution facilities, and is responsible for gas processing and transportation installations that fuel Saudi Arabia's industrial sector. An array of international subsidiaries and joint ventures deliver crude oil and refined products to customers worldwide. Smooth and safe migration to CENTUM VP enhances production efficiency at major Australian gold mine. The HMI stations instaled at the central control room, training system, primary crusher, workshop, and office are all connected via thesame communication bus. Mobil Oil Indonesia (MOI) identified Yokogawa as its vendor of choice for all natural gas exploration installations in the north of Sumatra. Successful migration of in-line blending distributed control and oil movement systems. To minimize operator intervention and to keep the product properties on specification. TOKUYAMA improves productivity by migrating from MicroXL to CENTUM CS 3000. TOKUYAMA appreciates the high reliability of this Yokogawa system. NAM needs to remotely monitor field devices and organize their maintenance schedule. True value in instrument diagnostics and preventative maintenance with powerful software tools like DTM. Universal Terminal (S) Pte Ltd, one of the largest independent petroleum products storage terminals in the Asia Pacific, has been built on Singapore's Jurong Island at a cost of S$750 million. Smooth project execution with no schedule and/minimal safety incidents. Easy to use, easy to reconfigure interface that has resulted in numerous post-installation enhancements. Minimizing day-to-day plant operation problems including reducing the alarming factor. 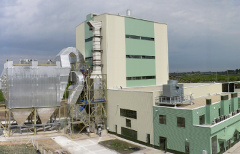 The plant was designed to be unmanned, except for some first-line maintenance personnel who are stationed at the plant. Through the use of the latest control system and FOUNDATION™ fieldbus technology supplied by Yokogawa, process control and the diagnostic monitoring of field instrumentation is done from remote locations. This has considerably improved the safety, quality, and efficiency of off-site operations. Yokogawa was the clear choice for installation of the OMS. The project goals emphasized schedule, quality, cost and safety. More than 40 sub-system interface cards are utilized for b14 partners company7s system integrated with CENTUM CS 3000. Yokogawa provides CENTUM CS 3000 and ProSafe-RS for the largest LNG terminal in Europe. Yokogawa's OmegaLand plant operator training simulator (OTS) helps to reduce costs, optimize LNG terminal processes. 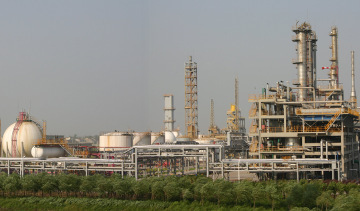 The Mathura refinery is a strategically important facility that supplies diesel, gasoline, aviation turbine fuel, kerosene, liquefied petroleum gas, furnace oil, and bitumen to customers throughout northwestern India. Yokogawa provides CENTUM VP with Batch Recipe Management Package for new fine chemical plant. Yokogawa's CENTUM VP complies with the requirement of Good Automation Manufacturing Practices(GAMP). PetroChina Guangxi Petrochemical Company has completed construction of a combined refinery and petrochemical production complex in Qinzhou, a port city in China's Guangxi Autonomous Region. With a 10 million ton per year capacity, the refinery is one of China's largest, and is truly world class, using a highly advanced hydrogenation process, with the main process technologies coming from the USA and France. Yokogawa receives award for hot cutover of BP Sharjah plant DCS. Yokogawa was selected by BP as main automation contractor (MAC) for a project to replace the Sharjah plant's existing legacy DCS with Yokogawa CENTUM VP. Yokogawa revamp of control systems at NAM Den Helder plant ensures stable gas supply in the Netherlands. Site survey, creation of a function design specification (FDS) from the existing TDC system database, documentation verification. To replace the existing CENTUM XL control station with the latest Yokogawa CS 3000 hardware and upgrade the control network. The plan was to minimize plant downtime by doing a hot cutover from the old to the new control system. Exapilot was introduced to maximize operational efficiency at an experimental refining facility. 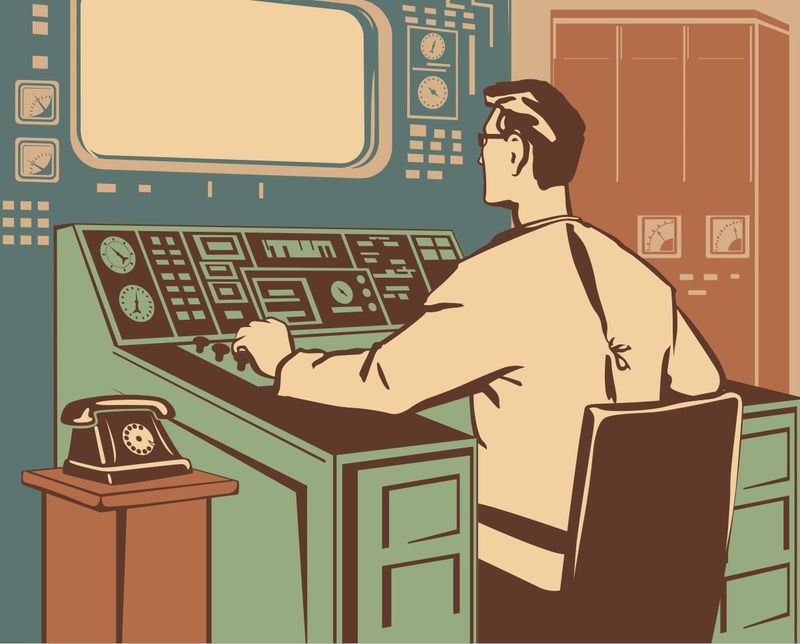 To prevent operator errors, it was essential to standardize operating procedures. Yokogawa's integrated solution contributed to reliable and efficient operation. All the instrument information is fully integrated with the instrument management system. Yokogawa Taiwan successfully replaced 3rd party DCS, which had worked over 20 years, with CENTUM VP. CENTUM VP's high reliability and easy engineering function realized a silent control room for the customer. As LNG moves from a niche to a major area of the oil and gas industry, experienced suppliers are required to deliver the technologies that support it. FOUNDATION™ Fieldbus is an enabling technology with the potential to revolutionise operation and maintenance in the process industry and thereby to contribute significantly to reducing these costs, everyday of the lifetime of a plant. Specifically with regard to maintenance, FOUNDATION™ Fieldbus opens the way to proactive diagnostics and to virtually eliminating preventive maintenance and to avoiding shutdowns. Network-IO can help reduce projects by decreasing the amount of time needed to implement the physical part of the process control system. A system with configurable I/O allows flexible "binding," in which the soft- ware configuration of the system can be loaded into the physical system at a late stage in the project. Your next automation system will have to do far more than real-time control,as the demands for new capabilities are rapidly growing. Bruce Jensen writes. By Bruce Jensen, General Manager, Technical Solutions Support Center, VigilantPlant Solutions and Services, Yokogawa Corporation of America, and Joshua Kyaw Zwa, Executive Engineer, System Marketing Department, Marketing Operation, Yokogawa Engineering Asia Pte. Ltd.
...and then you plan an intelligent automation solution. In an ideal automation project, time is unlimited, and project budgets are generous. The plant implementing such a project has the luxury of automating all of its field actuators, great and small. Yokogawa's web-based DCS Anywhere has simplified commissioning at the Nanhai petrochemicals complex. With a total investment of 4.2 billion US dollars, the Nanhai petrochemicals complex at Daya Bay in Huizhou, China, has attracted a lot of attention because of its sheer scale. For the past 35 years, developments of a distributed control system (DCS) have been evolving to raise productivity and enhance plant operation. As field instruments advance, there is a need to exchange large amount of process data and parameters among various diagnostic devices for stability of plant operation. As industrial facilities take on more complex tasks and lose in-house expertise, they ought to be able to rely on suppliers to show the way and help them achieve their goals. The 2008 Frost & Sullivan Asia Pacific Company of the Year Award for Distributed Control System (DCS) market is presented to Yokogawa. Yokogawa is the market leader with a dominant market share in the Asia Pacific market. An exception level of engineering expertise tailored for the local market is one of the primary reasons why Yokogawa has managed to capture and keep the process automation top spot in the Land of Smiles, says Somkid Teraboonchaikul, managing director, Yokogawa Thailand. As a world's leading supplier of instruments and control systems for industrial process automation, Yokogawa has committed itself to the development of advanced solutions and products in three focused areas – measurement technologies, industrial automation and control, and information technologies. Yokogawa has taken a vital step in their plan to make the world's plants 'silent and boring', and therefore, well-managed, with the release of their new integrated production control system CENTUM VP last month. At ARC Process Management Academy (PMA) in Antwerp Yokogawa's contribution to plants in Europe was introduced. The consolidation of control rooms was conducted in several refineries in the 1990s and early 2000s as a means of reducing the number of operators and improving the efficiency for enhancing competitiveness. The characteristics of consolidated control rooms vary, reflecting the history of a refinery. The phenomenon of the current era, coined the information age, involves a global trend toward digital technology and open architecture. Field devices are no exception to this trend. In industrialized countries, social trends such as the aging of workers and the decrease in working population are becoming obvious. Substantial problems such as a lack of skilled engineers and increases in the labor cost of knowledge workers are significantly impacting industrial automation users. These problems cause greater economic loss to the users. The power generation facility in a pulp and paper plant is comprised of units, each of which is composed of a boiler, a turbine, a generator, and auxiliary equipment, and these pieces of equipment were traditionally controlled on a unit/equipment basis. This paper presents an application of CENTUM, Yokogawa's distributed control system (DCS) that integrates the independent control systems of such power generation facilities to achieve labor saving through operations via CRT display and keyboard. In process control it is not uncommon for systems to be affected by dead times, due to material transfer times. This is evident typically in pipelines. A fluid of density ρ and flow rate w in a section of pipe A the length of d takes the amount of time τ = ρAd/w to cover the whole distance (see Figure 1). Yokogawa's ProSafe-RS safety instrumented system is used for many applications as a system conforming to the safety integrity level (SIL) 3 defined in the IEC61508 international functional safety standard. To deal with temperature inputs, systems were conventionally configured using signal conditioners. The CENTUM CS 3000, a reliable distributed production control system, has been introduced worldwide with the objective of operating plants efficiently 24 hours a day, every day. The CS 3000 handles abnormal conditions in a plant appropriately and minimizes the chance of them developing into faults.